Whatever the problem, kids talk to us. Every day, we answer calls and online questions from kids across Canada. Our professional counsellors are there to provide immediate and caring support, information and referrals. This is an anonymous way for you to tell someone about your personal or school safety concerns. You can leave an anonymous message with information for the TDSB to follow-up. You do not need to give your name to make a report. You can leave a voice message without anyone knowing or finding out who you are. Messages are checked regularly during the school day. You are encouraged to call whenever you hear, see or experience something that threatens the safety and welfare of anyone at your school. You can make reports about threats, suspicious activities, violence, physical assaults, weapons, intimidation, bullying, sexual harassment or anything else that worries you. Check out these links to get your questions answered. Trouble with drugs or alcohol? Depression? Want to remain anonymous? 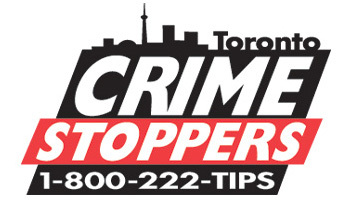 Call or visit the web site of Toronto Crime Stoppers. We are a 24-hour telephone and TTY crisis line for women in the province of Ontario. We also speak to friends and family members of abused women, service providers and other professionals in contact with abused women. Our service is anonymous and confidential. You don't have to give your name. Our toll-free number won't show up on your phone bill. We do not have call display. Call our Helpline today if you or someone you know is being abused. You are not to blame, no matter what anybody says. Abuse is always the responsibility of the abuser. Covenant House is Canada's largest youth shelter. More than a place to stay, we provide 24/7 crisis care and have the widest range of services under one roof, including education, counselling, health care and employment assistance. Covenant House has helped thousands of young people move from a life on the street to a life with a future. Support for gay and lesbian youth. P&P offers unique programs for lesbian, gay, bisexual, intersex, transgender, transsexual and questioning youth 25 and under. Counselling and Groups: Through individual counselling and group work, our programs support youth who are challenged by a wide range of issues. Our clients may be exploring issues related to gender identity and/or sexual orientation, community, prejudice, friendships, family and/or may need support during a life transition. We serve youth who are struggling with depression or anxiety, or confronting traumatic experiences, including childhood abuse and family violence. We help clients make sense of and cope with a variety of complex struggles. At the same time they are encouraged to explore and embrace their own individuality and identity. The Metropolitan Action Committee on Violence Against Women and Children (METRAC) is a not-for-profit, community-based organization that works to prevent and end violence against diverse women, youth, and children. METRAC has three main program areas: Community Safety, Community Justice, and Community Outreach and Education.